A catchy name and a creative band. EVOLOVE, which is love spelled backwards and forward, has been quietly rising to the top and it’s about time to introduce them to our HollywoodMusicMagazine.com readers. Front woman Lucy Levinsohn takes the chick fronted band cliché and turns it upside down. ‘2012: Countdown To The End’ is their debut album in which they showcase their talent, energy, playfulness and passion for what they do. I’m all for taking yourself serious when needed to but being a bit playful always works in your advantage when it comes to music. Pop inspired guitar riffs and personal yet direct lyrics are what make this album a gem in my cd collection. You wonder how a band like this is still unsigned and yet managing to get their name out in every way, shape and form known to them. 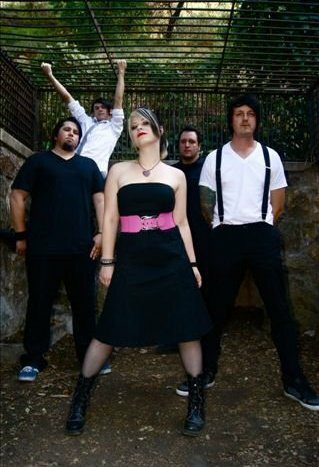 They even have a commercial deal with FreeCreditScore.com which can be seen on MTV and are also playing a few dates on this years Warped Tour which is coming to an end soon. 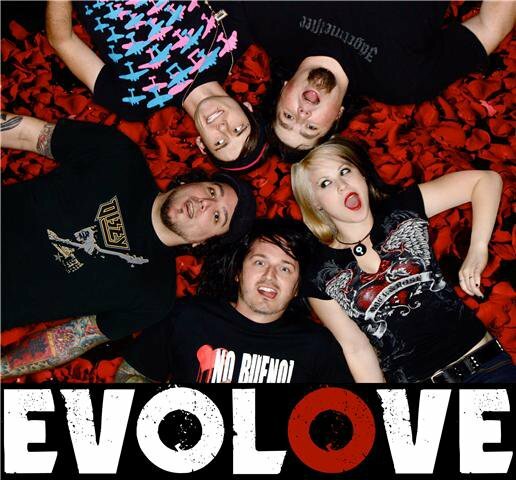 You have no excuse not to see Evolove live, buy their album, a shirt, hell even a tote bag. They’re everywhere and pretty soon they’ll be taking over the world. Pop Rock chord at a time.